Thousands of people took part in Sunday’s Pride parade in New York City. I was one of them and enjoyed the experience entirely. It was a celebration of just how far we’ve come as a country. Yet there were some reminders of how careful authorities are when it comes to keeping the crowds safe. I took this photo of a mailbox near 23rd street and 5th Avenue. 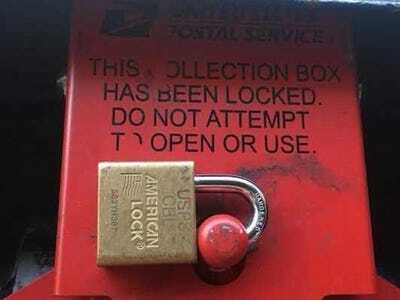 It was clearly locked which highlights the reality that our freedoms are constantly threatened. 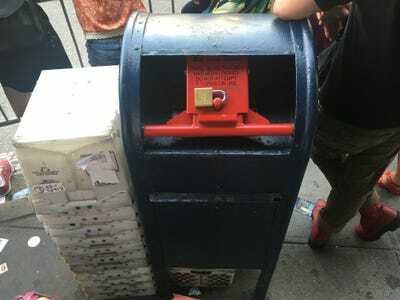 Someone who wanted to harm those at the parade could easily have dropped something dangerous inside that mailbox, which was right in the middle of a huge crowd of people. Despite the celebration and joy permeating the streets, this mailbox was a reminder that we must remain vigilant. It also was comforting to see that authorities are taking multiple measures to keep us safe in a time when our way of life makes us a target.